Green Smoothies are an excellent way to get in more greens, fiber, and protein! You need a good blender, but you can have a lot of fun making weird concoctions. Here is a green smoothie I made up that tastes like a peanut butter and jelly sandwich! Blend all in a blender. 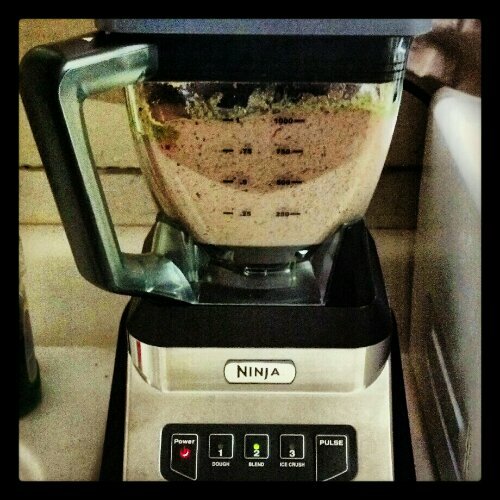 I love my new Ninja Blender!